It’s the most wonderful time of the year beginning of the spring semester. The time of year thousands of college seniors and grad students realize the party grind known as student life is coming to an end and the world of job uncertainty employment awaits. If you’re a student and haven’t already done an internship, there’s still plenty of time to do one or more (I did three in my final three months of graduate school). If you’re college requires you to do an internship, you’re in luck. If there’s no internship requirement, do one anyway. It helps you get a leg up on the job hunt. It’s no secret that some employers abuse use interns as a source of unpaid labor for office grunt work. There’s nothing wrong with filing papers or fetching coffee, but if that’s all you’ll do, you’re wasting your time. Ask about the specifics of your internship during the initial interview. Express a desire to contribute in a meaningful way. If the interviewer doesn’t have substantive answers to these questions, they likely haven’t given much thought to what you’ll be doing. And that means they haven’t given much thought to you either. It’s easy to be quiet like a church mouse when you’re not getting paid, but that isn’t a ticket to prosperity. 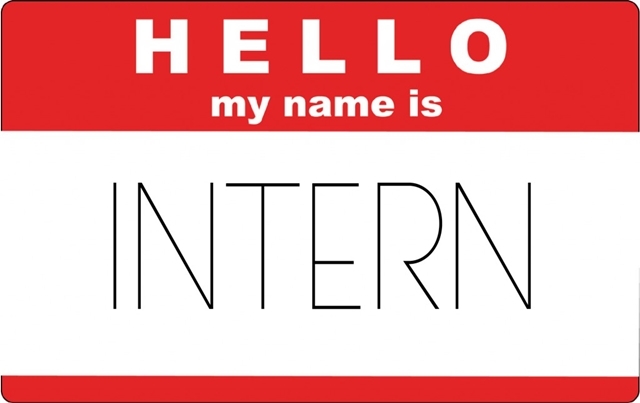 More than likely, the office will know that you’re an intern. Take the time out to chat informally with those around you. Tell them your story. Tell them your goals. Most people don’t mind lending a hand if they can help you directly or know someone who can. When it comes to having this conversation with your direct supervisor, request a meeting so he/she can block off time just for you. During the meeting, thank them for the opportunity, tell them what you’d like to get out of the internship and what you’d like to do in the future. Stating these goals up front can go a long way towards preparing today for employment tomorrow. People love to talk — especially about themselves and what they do. I’m an introvert in real life until I get a question about communication or journalism. Relationships (even in the intern phase) are two-way streets. Your college or grad school internship is one of the last opportunities you have to get assistance without suspicion. After graduation, you are no longer a wide-eyed student; you become the competition. If you conclude your internship without a portfolio (or something to add to an existing one) you’ve done it wrong. Keep samples of the work you do on your own and projects you’ve contributed to in an organized fashion. Had I not been hired at my final internship site, I would have walked away with several professional writing samples and news clips that my press releases and pitches generated. When you walk into an interview, there’s nothing like evidence that backs up the qualifications on your resume. If you can show an employer you can do the job, you’re halfway towards employment. Testimonials go a long way and allow supervisors and co-workers to add personality to your profile. Whether you do this on LinkedIn or obtain physical letters, good words from people in the industry you want to work in do wonders. After your internship ends, stay in touch with the people you enjoyed working with. Let them know how you’re doing. Even if there’s no available job upon graduation, you never know what will happen in the future. People hire people they know and like. If you did a good job and didn’t start a fire in the building, you were probably liked. Money isn’t everything. While it’s great to have a decent paying internship, there are no shortage of opportunities to make your low (or no) pay internship work for you long after your last day at the office.